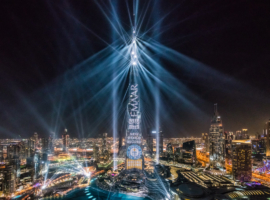 At the end of November, the lighting specialist AO Lighting and its creative department AO Creative bathed the Burj Khalifa in light to mark the announcement that the city had been chosen to host Expo 2020. 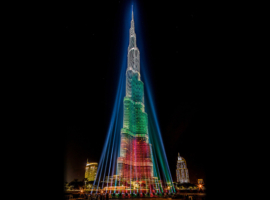 For the following National Day celebrations the illumination changed into the national flag colours. 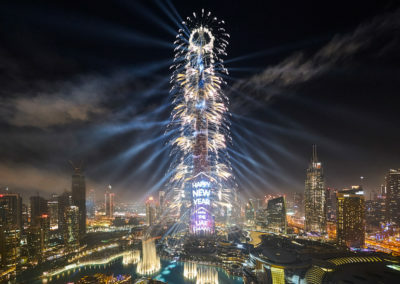 It began with the news that Dubai would be hosting Expo 2020. This will be the first time ever that the world’s fair is held in an Arab country. 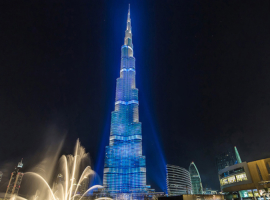 To mark the announcement on 28 November, AO Lighting and its creative department AO Creative bathed the 828-metre-high Burj Khalifa from top to bottom in blue and white light using xenon searchlights. The expo colours gave way at the end of the show to the colours of the national flag, to mark the United Arab Emirates’ National Day. 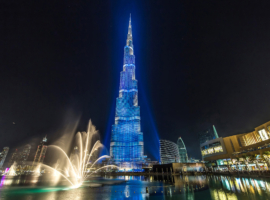 To underline the role of the world’s highest building as a landmark visible from afar, AO Lighting pulled off a logistical masterstroke in a relatively short space of time. 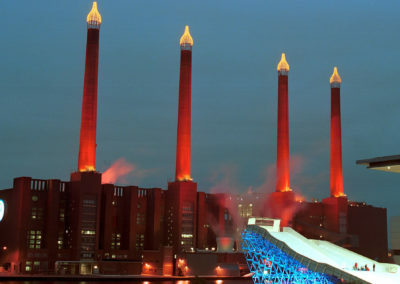 This was the first time the tower had been lit from all three sides to create a 360° illumination. As the supplier of lighting equipment, AO Lighting was responsible for the technical and logistical planning including the peripherals. 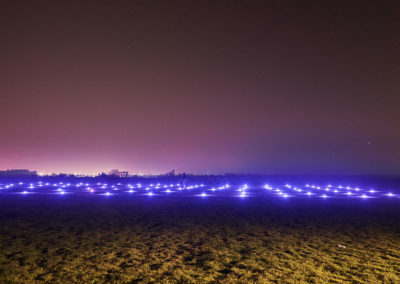 The AO Creative team was responsible for the creative concept behind the illumination.